ARE YOU RIGHT FOR THE MOONLIGHTS? The Moonlights are really versatile and capable tents so it’s tempting to say they’re for everyone, but they’re not. Remember that one of the absolutely overarching reasons for doing these tents is to offer a different vision of what tents are for. I'm not to try to say that everyone is buying the wrong thing for themselves. People have just not had much of a choice before. What’s different about the MoonLights compared to other Backpacking tents is just this: these are the biggest, strongest and nicest to use backpacking tents around. They are focused on contributing to your trip as much as a tent possibly can. They are not the absolute lightest tents you can buy, but they’re no slouches either. 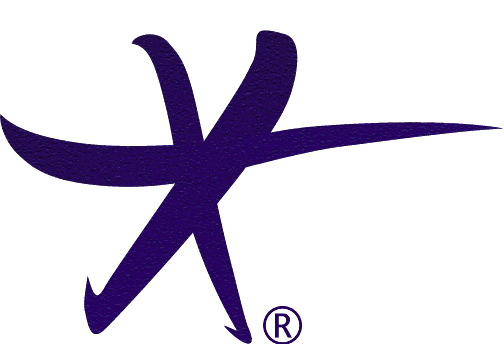 Their 20D fabrics are delightfully lightweight and compressible. What’s different about the MoonLights compared to other Camping tents is just this: these are not the biggest camping tents out there - not by a long shot - but they are by far the lightest, smallest packing and strongest. They fit into what I call a fast and light camping style. 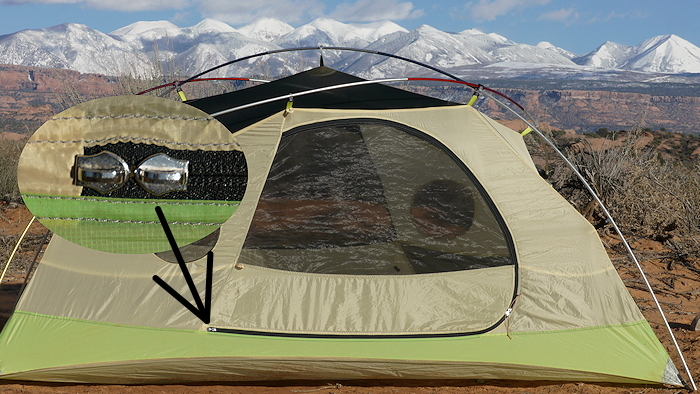 Where being able to setup and break camp quickly and easily is of great value: like rafting or in sag-wagon support of a long bike ride or even just car-camping with a lot of traveling camps. I should also emphasize that these are strong enough tents to handle storms in some of the bleaker and exposed camps that you might need to use out of necessity. The Moonlights are especially good for family camping – here I’m mostly referring to the MoonLight 3 & 4, of course. What a coincidence; that's exactly how I came to make these particular tents – my family took a trip and the tent we brought wasn't made with the two biggest priorities for camping with kids: getting sleep and having fun. (It was an ultralight 3-pounder). Parents of young children never get enough sleep and any trip needs to be reliably fun for the kids. So backpacking with them isn't about mileage and cruising through terrain and it sure as heck isn't about light loads. Instead it's about kids exploring, enjoying and being amazed by the outdoors. That seems simple enough. But here's the thing, infants, toddlers and young kids are TERRIBLE tent-mates for sleeping. They’re like little windmills that kick, thrash and snore. If you can’t get far enough away from them, you’re not going to get much sleep. So what's driven the size of these tents wasn't so much a desire for opulence as it was self defense. Likewise, the interior volume needs to be big enough and inviting enough for kidplay mayhem. This is especially true during storms or when the kids need to stay safely inside – when, for instance, one parent gets water while the other is cooking. Kiddo lockdown is essential sometimes, but it can't feel like jail. That's why the MoonLights have almost vertical walls and windows at various heights. Peeking and hiding and literally bouncing off the walls is what kids do in this tent. If you’re camping with another family with kids, your MoonLight will be playhouse central – it’s where everyone will want to hang out. 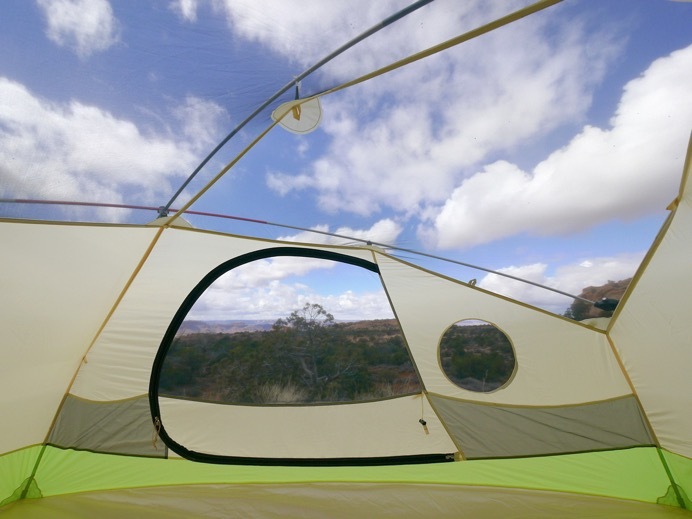 Backpackers are the most obvious ideal users for these tents. But not just any backpackers. These tents are roomier, stronger and more featured than other backpacking tents because they cater to experienced users who've found that freak windstorms, freak snowstorms and freak "Dogs and cats" rainstorms actually happen all the time; especially in the more spectacular, more exposed, campsites. So having a tent that handles them is just being prepared — another safeguard for your treasured time in the mountains. And they're for those that use their tents long enough and hard enough that they'll see that the extra features of the MoonLights are "Thank god, FINALLY!" answers to age-old problems. Through-hikers (PCT, AT, CDT), as opposed to section hikers, are probably not the perfect customers for the MoonLights. Going for big mileage from protected low-camp to protected low-camp, means you'll probably be happier with one of the really crazy-lightweight trekking pole supported tents out there. Also - and please don't hate me for saying this - super long distance hikers are, obviously, partly in it for the achievement of overcoming suffering and boredom. MoonLight tents don't fit into that psychology. Think of it this way: those trails require enormous amounts of time, planning and dedication. They're about the Hiker performing and dealing with adverse conditions. If they don't get much sleep a few nights, no big deal — they're out for months and months. MoonLights are for the rest of your life where trip time is preciously short and trip quality can be made or broken in a single night. If you're doing the John Muir Trail (JMT), on the other hand, you're going to be going through some of the most exquisite alpine off-trail mountains on the planet and I would guess that you'll want to go back to explore the side areas over and over. Ding ding! That's the perfect use for a MoonLight tent! The MoonLights are extremely versatile. They're strong enough to go anywhere in the world, above or below timberline, Spring through Fall. Going backpacking in Torres Del Paine in Chile? Bingo! And their just-so amounts of ripstop, windows, roof mesh and vents make them comfortable in cold OR hot weather (Death Hollow top to bottom anyone?). Rafters, Boaters, Canoers and Carcampers will also find that the MoonLights are awesome tents. Not only can they handle serious weather when pitched in the most desolate, exposed and grimly forsaken sites (you know the ones, they're often littered with the remains of tents from previous campers), they can be secured well enough and they're strong enough to let you leave them up while you're out of camp. MoonLights also come from the fast and light school of camping, not the need-a-trailer-and-a-rocketbox-to-carry-it-all school. This style is ideally suited to travel: setting up or breaking camp easily and quickly, stowing in a small space, and getting on with the day's exploration. You can have one of these down and packed before the campsite next to you has even figured out how to re-fold their "camp kitchen." Then there’s our pre-installed EXTRA zipper sliders. Sand wears out zipper sliders and when that happens you can’t close the door. On a buggy trip that means MISERY probably followed by an expensive zipper replacement. But not on a MoonLight tent. Both doors have extra zipper sliders pre-installed so when one set screws up, you can immediately take the cord pulls off those and put them on the fresh set. This saves the trip and gives you ample time to get the original set replaced (which is a minor repair). You’re welcome. Extra sliders can save the trip and an expensive repair. Beginners are actually perfect customers for the MoonLights. I don't see anything wrong with skipping ahead a few levels of experience in the shelter department. 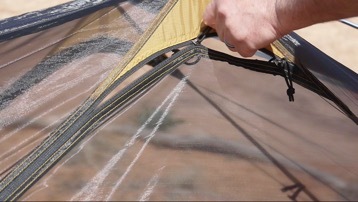 Why should someone have to learn what makes a better tent by having one sabotage their trip? Epic trips will come. Character will be built. Beginners have a ton to learn. My guess is that they’ll be much more likely to enjoy camping (and continue doing it) if the tent is on the helpful and dependable side of the equation. Supported bike trips are also naturals for the MoonLights. You might want a huge tent but support organizations require that they be compact. The MoonLights fill that unique niche: big but compact. They also handle the freak winds that exposed sites are prone to. Trekking. Whether you're carrying them or porters, the MoonLights are a great balance between luxury and weight. Festivals. Shortest sales pitch ever, three words: Festival. Tent. Carnage. Probably the Greatest Outdoorsy Wedding Gift Ever! Getting out with young children is really hard – harder than any newlywed couple realizes when they pledge to each other to “keep getting out even when we have kids.” As we mention above, oddly enough, the tent is a key piece of gear that can really help or really hurt a trip with young kids and there are precious few on the market that are on the help side of that split. The MoonLights were originally designed exactly for helping; from pockets big enough to hold a bunch of diapers to the high entertainment value of the styling, they make a fantastic wedding present.